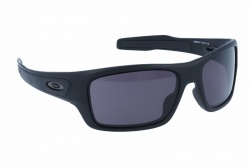 Oakley Turbine lens shape design is inspired by the popular Oakley Hijinx, although its design has tried to emphasise the active look of Oakley Active collection. 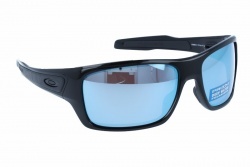 One of Oakley Turbine’s distinctive features is interchangeable icon, making it possible to customize every pair with wearer’s desired colour, just the way it goes with the rest of Oakley sunglasses and prescription glasses. 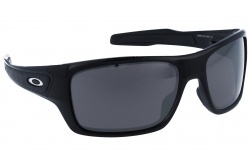 These sunglasses have been engineered using O Matter, a lightweight and durable material, and temple tips are made from Unobtainium, a hydrophilic synthetic compound that increases gripping despite perspiration. 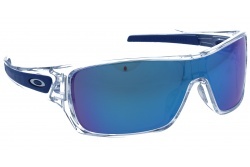 This characteristic makes this material perfect for sports eyewear and its three-point fit holds lenses in precise optical alignment. 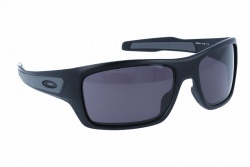 High Definition Optics (HDO) is a set of patented technologies that allow Oakley sunglasses to meet and even exceed the testing standards of the American National Standards Institute for optical clarity, visual fidelity and impact-resistance. Snagless Nose Pads are special adjustable nose pads that eliminate pressure points, they don’t hurt wearer’s ears and don’t get stuck with hair. Another optically precise material that’s used nowadays to manufacture glasses is Plutonite Lens, which optimizes clarity and impact-resistance, blocks 100% of all UVA, UVB, UVC and harmful blue light up to 400nm. The lenses of these sunglasses don’t have any additional coating: their UV protection comes directly with the material it’s made from. Thanks to decades of innovation, Oakley performance glasses offer perfect protection against high mass and high velocity. Also they feature an extra Plutonite protection to avoid any damage coming from UV light, which could cause serious eye conditions, such as cataracts, pterygium or macular degeneration.